A huge focus for DreamWorks Animation, the world’s biggest independent animation studio, the Dragons franchise features an enormous media slate including event movies and three television series. The original feature film, How To Train Your Dragon received two academy award nominations, and sold over 10 million DVDs worldwide in addition to vast consumer products sales. Dragons has strong dual gender appeal with kids 4-8 and up to 12, as well as broader appeal for families. With the first of the television series launching on Cartoon Network in Spring 2013 and immediately topping the ratings charts as their most-watched show, the programme enjoyed additional impact with broadcast on CBBC from September 2013. 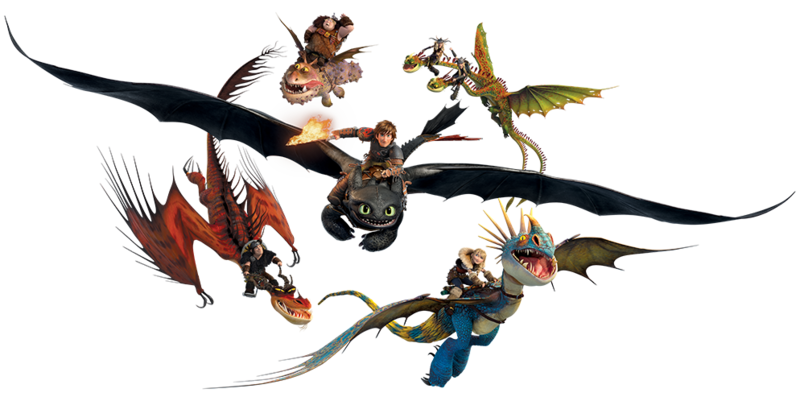 A second series launched in Spring 2014 in the run up to the release of the feature film, How to train your Dragon 2 in the Summer of that year. Distributed by Fox, the film achieved huge awareness throughout the UK, gaining both a BAFTA and an Oscar nomination. As well as the confirmed 3rd movie in 2018, the Dragons franchise is also consistently refreshed with interactive games, live events and an extensive range of licensed products and publishing. With master toy licensee, Spinmaster seeing strong sales across the UK market and a raft of product seeing great success from an A-list team of licensees, Dragons is set to blaze a trail in the licensing world through 2015 and beyond. Bulldog represents the publishing rights for the studio in the UK and is working closely with major partners including Igloo Books for a wide range of formats and Immediate Media for a DreamWorks Magazine.